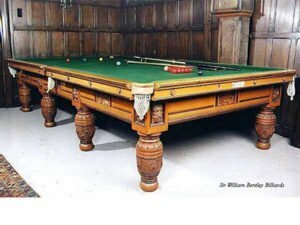 Play video - An introduction to..
With nearly 40 years of experience in Antique Billiards restoration and reproduction, and having designed & made some of the world’s most beautiful tables for Snooker, Pool, and dual-purpose dining, we consider our craftsmen to be experts in the craft of billiard-table making and restoring. 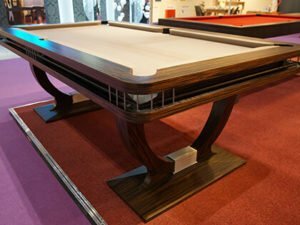 Whether you want a table on which to play Snooker, Pool, US, Russian, French or English billiards – we believe you want a billiard table, or maybe a dual-purpose billiard dining table. 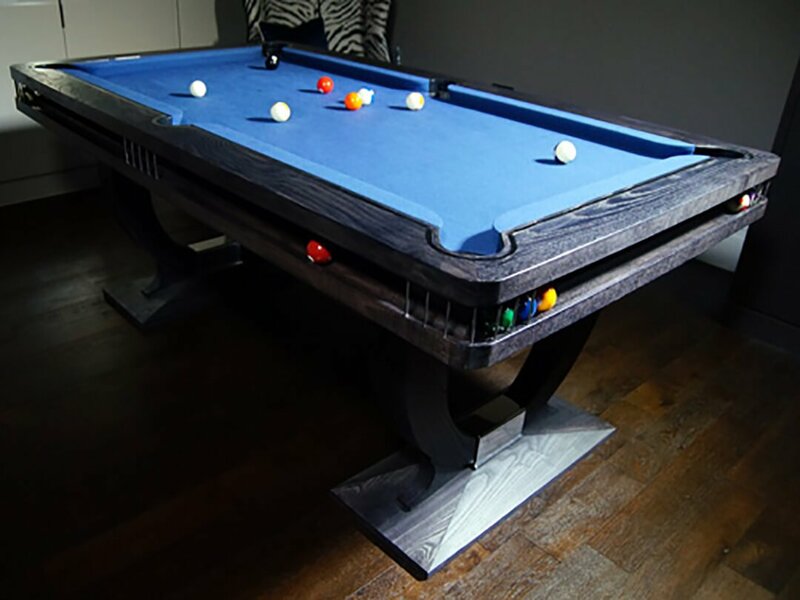 We also believe that people appreciate quality craftsmanship, and the opportunity to have beautiful furniture, hand made to their own, individual specifications. i.e. 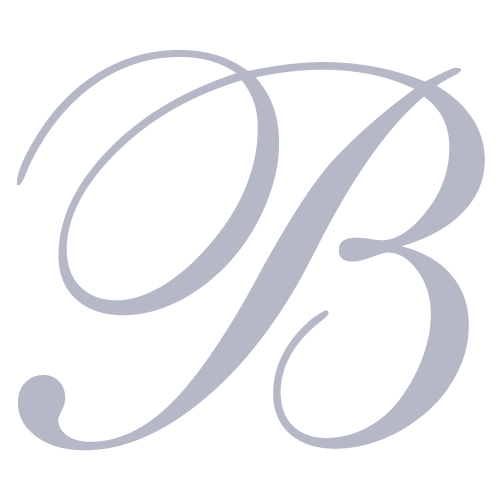 truly Bespoke. 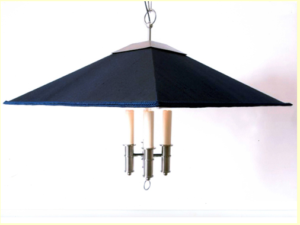 Our aim, therefore, is to work with our clients to to create their perfect, personalised table, accessories and lighting. 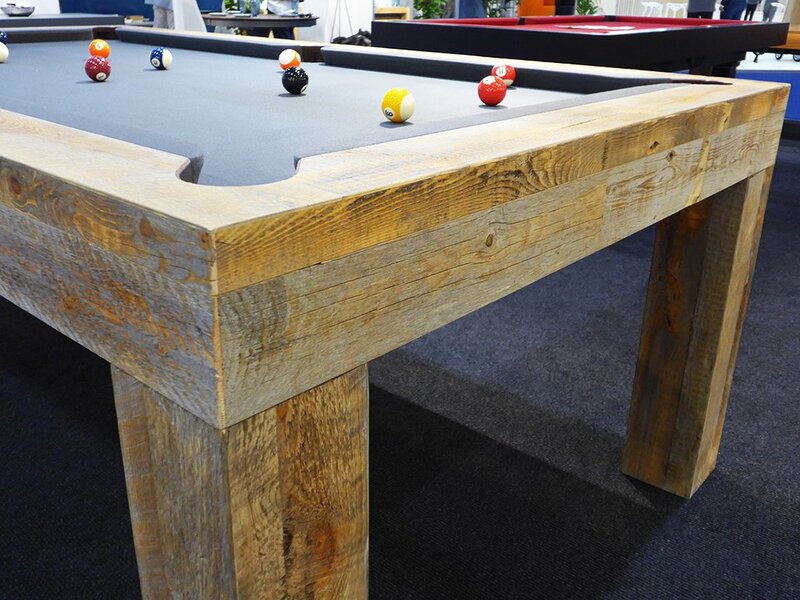 Our family-run business began with the restoration, renovation and reproduction of Antique billiard tables. 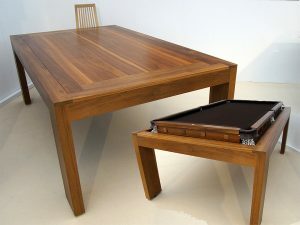 Along the way, we discovered the dual-purpose dining tables that were so popular in the Victorian era, and did our best to re-produce and re-create these wonderful peices of furniture. 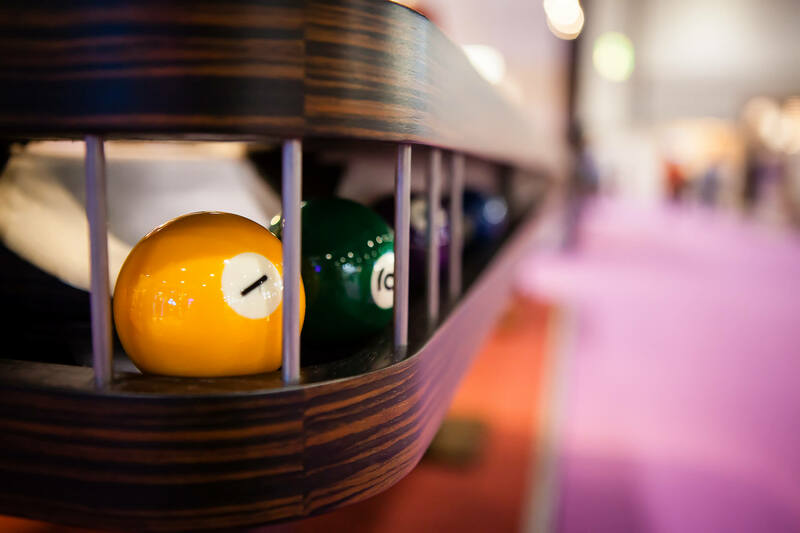 Over the years we have refined and developed the mechanisms that transform the tables from dining tables to playing tables, and our client’s increasingly diverse requirements for these and for bespoke pool, snooker and billiards tables, have led us to make more and varied designs. Using different woods & metals, with personally selected finishes and details, introducing new leg designs & cushion surrounds to alter the ‘silhouette’, many designs have been re-iterated many times. Some have been so strikingly individual they are effectively unique. Most importantly, our focus has always been on producing individual pieces of the highest quality. 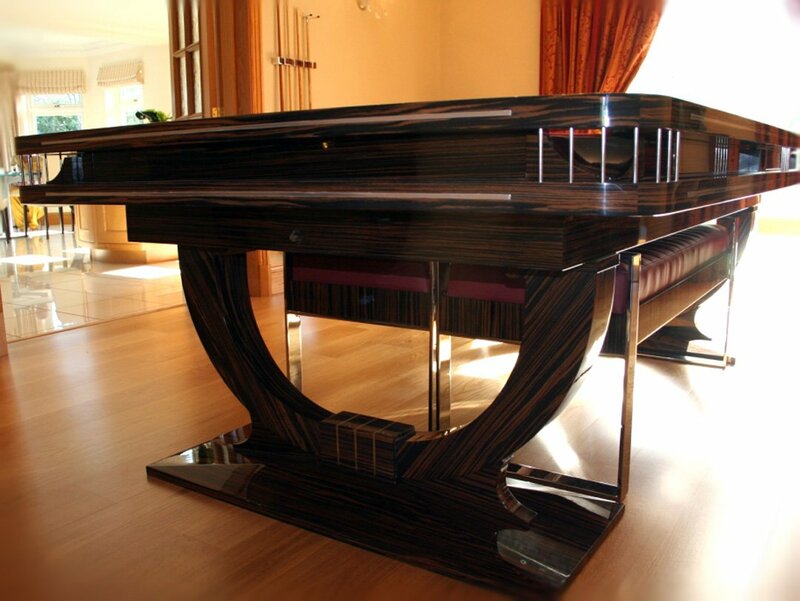 As a result we have become globally renowned amongst private clients and Interior designers, for the beauty and attention to detail of our craftsmen’s work. 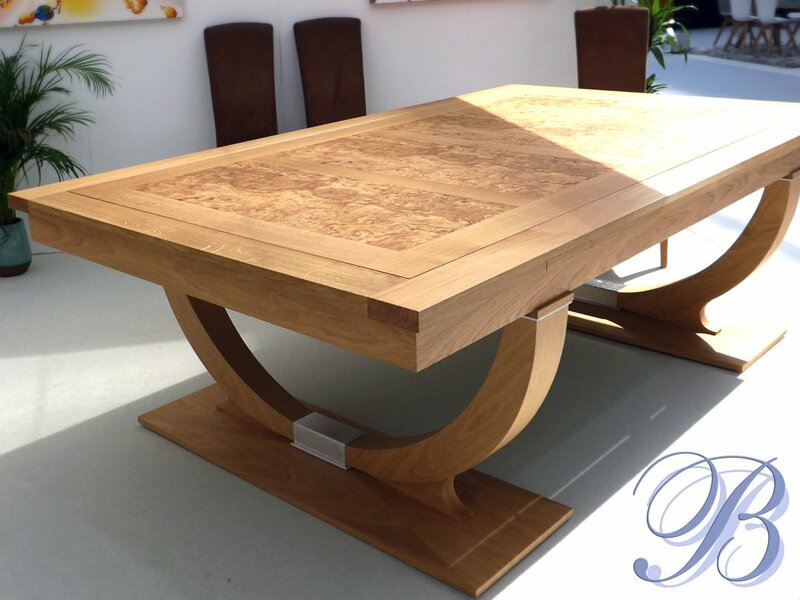 Our website showcases some of the many beautiful tables we have made and we hope will provide you with the inspiration to design your own. 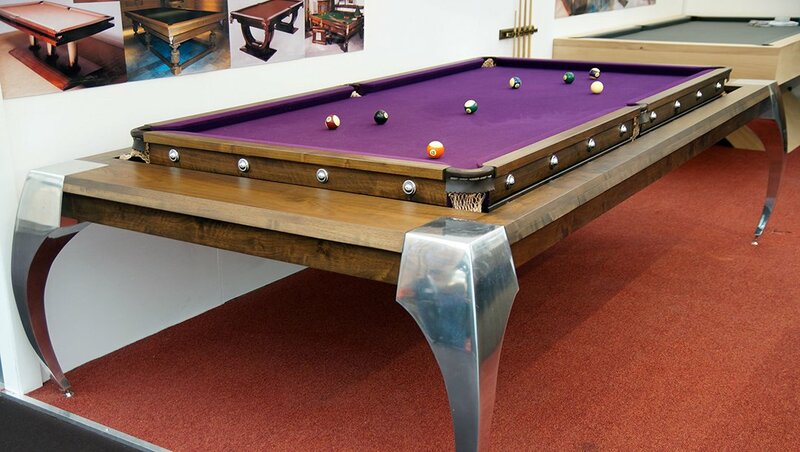 Our showrooms, nestled in the beautiful countryside on the borders of Berkshire and Wiltshire, house many fine Antique Billiard tables alongside contemporary and classic tables handmade in the adjacent workshops. 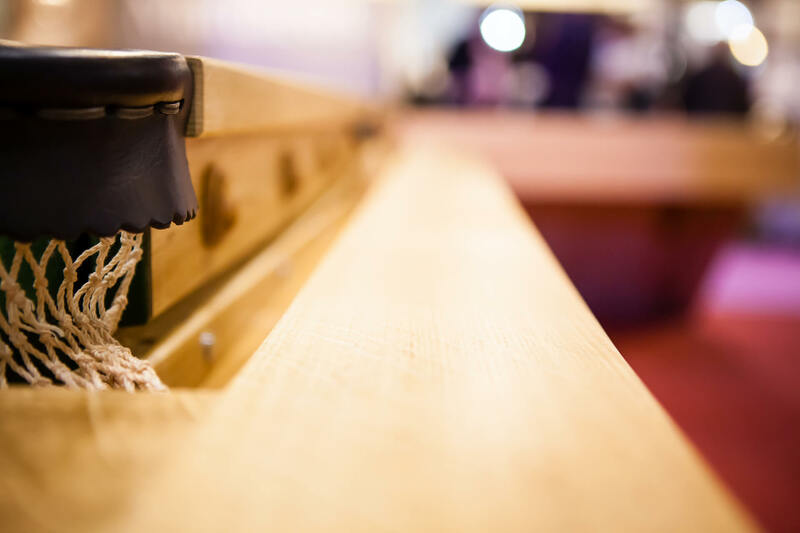 A visit to Marten is a great opportunity to see the craftsmen at work, to enjoy the processes of design, carving, marquetry, veneering, inlaying, polishing, metal and wood working, and to appreciate for yourself the skills involved in the creation of each table. 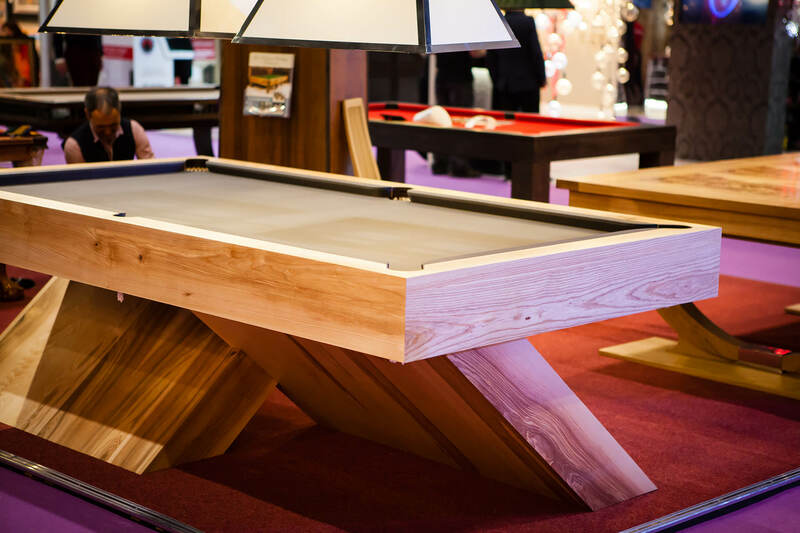 To enter the showroom is to delve into an Aladdin’s cave of burr Walnut, rich rosewood and finely grained mahogany, maple, oak and ash. Intricate marquetry, polished metal, delicate inlays and beautiful veneers, lie side by side with fine Scottish leathers and English wool-nap cloth. 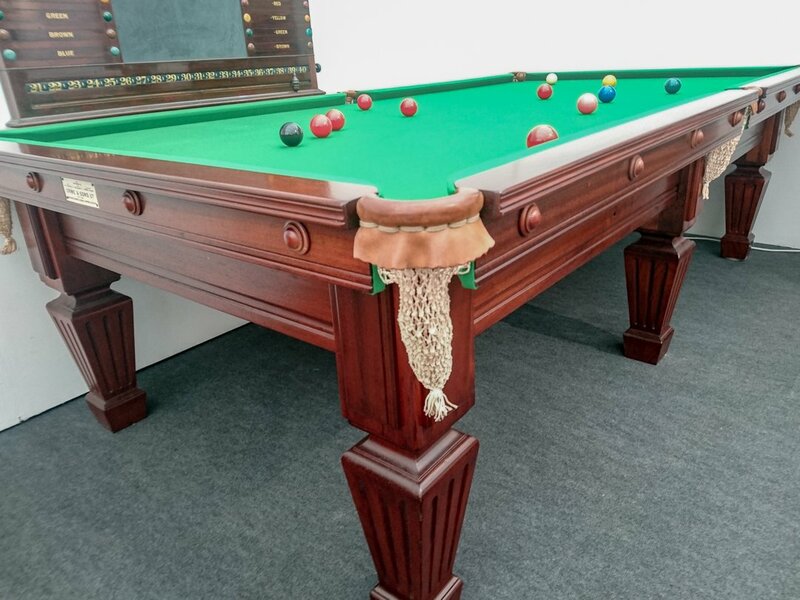 Complementing the tables are diverse and handmade accessories. 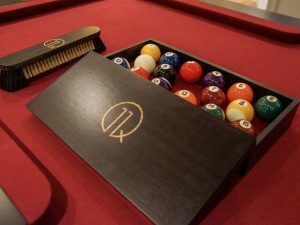 Antique and modern, these include marker boards & cabinets, cue-racks, ball boxes, billiard-room memorabilia, dining chairs, upholstered billiard benches, and exquisite examples of specialist billiard lighting. 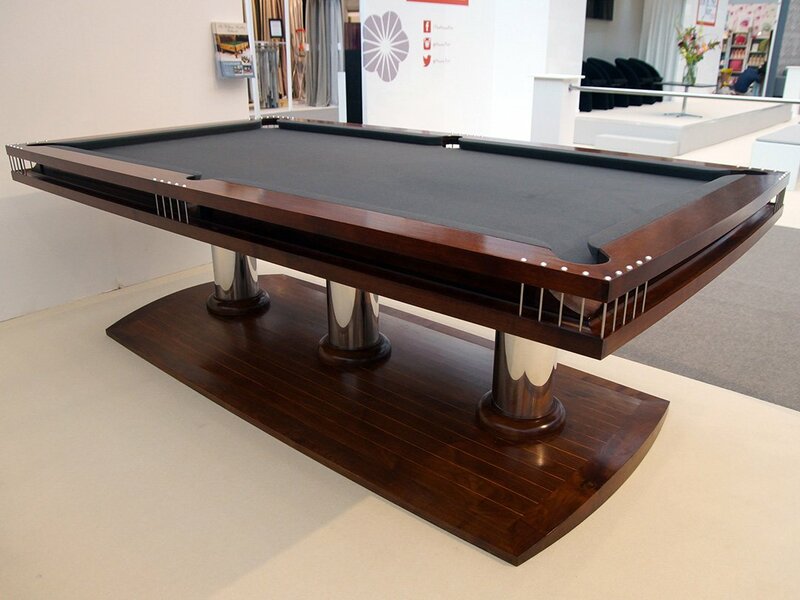 Whether your search is for an Antique, second-hand, bespoke or replica table, for billiards, snooker or for pool, for a stunning contemporary rollover or an elegant wind-up dual- purpose table for dining and playing, you are sure to find either exactly what you are looking for or the inspiration to specify your very own custom-made and designed table. To discuss your very own bespoke design or simply request more details, pricing information or our full colour pdf brochure, click above..